We have a few fun activities coming up in the near future! 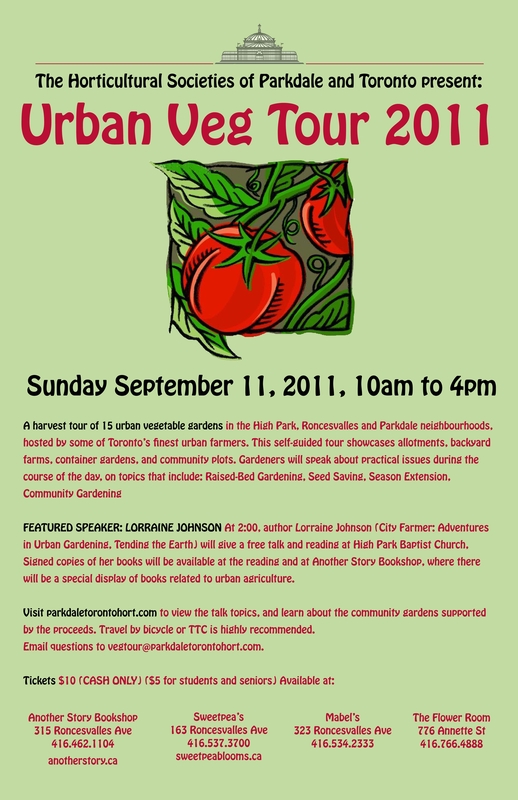 First off we have the 2011 Urban Veg Tour presented by the Horticultural Societies of Parkdale and Toronto. This great tour is all about growing vegetables in a variety of urban spaces. Lorraine Johnson will be a guest speaker and a variety of amazing gardens will be on display. Check out/click on the poster below for ticket information and tour details. Next event after this is the High Park Harvest Festival. Harvest Fest is a joint event put on by ourselves, Colborne Lodge and the High Park Nature Centre. 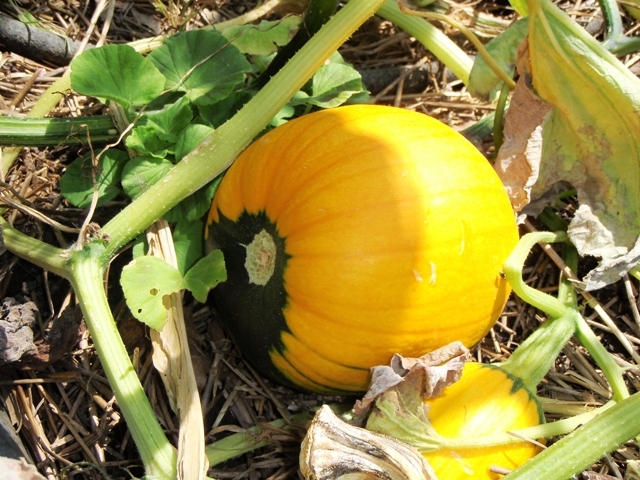 Sunday, Oct. 2, 2011 from 12:00 to 4:30 pm down by Colborne Lodge and the Children’s Garden. This year we won’t have the opportunity to feed everyone (with the Children’s Garden left fallow for the summer due to the Kitchen construction there’s nothing to cook up for everyone). We will, however, be able to show you what’s happening at the Kitchen and of course still have a variety of fun garden and nature activities for everyone to enjoy. You can find out more about the event on the High Park Nature Centre site and the Colborne Lodge Museum site.